Billed as a homage to Die Hard and Towering Inferno, Skyscraper's lack of wit, grit and suspense leaves it far behind its predecessors. The films we like to classify as big, dumb fun haven't had a great run of things so far in 2018. They've made money, definitely, but the balance has been out. Be they clangers like Pacific Rim: Uprising or mindless popcorn offerings like Rampage, there's been a lot of big and even more dumb, but the fun has been noticeably absent. The latest contender, Skyscraper, fares a little better, although ultimately its preposterous script and story render it little more than a passing diversion. 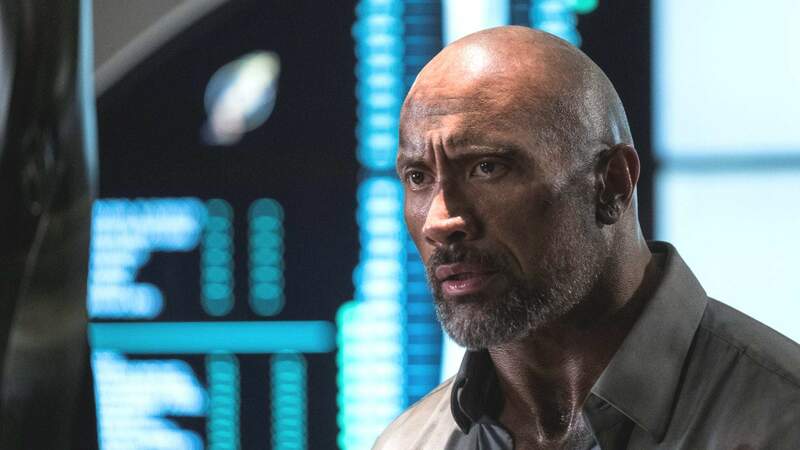 Set in Hong Kong and starring Hollywood's most bankable star Dwayne 'The Rock' Johnson, Skyscraper is a thriller centred around The Pearl, the world's tallest and (supposedly) safest building. Johnson plays Will Sawyer, a former FBI agent turned high-rise security expert who finds himself in the midst of a convoluted terrorist plot to steal a valuable flash drive by setting fire to The Pearl in order to flush out its billionaire owner. Allusions to both Die Hard and Towering Inferno have been embraced by the film's distributor, so much so that they even created homage movie posters. Sadly, Skyscraper possesses neither the wit and gritty action of Die Hard nor the suspense of Inferno to see it come close to either. As always, Johnson does his level best to keep the film entertaining. But he's robbed of his usual charm-fuelled asides, left instead to deliver bizarre non-sequiturs like "if you can't fix it with Duct Tape, y'aint using enough Duct Tape" (this also ranking as perhaps cinema's most unexpected product placement). The movie's villain, too, is entirely forgettable – and whilst it might be unreasonable to hope for another Hans Gruber, writer-director Rawson Marshall Thurber could at least have endeavoured to give us something a little meatier than the generic hired gun he serves up. Refreshingly, Neve Campbell appears as Johnson's wife, who proves a far more capable action-movie heroine than the traditional spouse-in-distress. Multilingual, combat-trained and a surgeon, she's the first to clue in to the terrorists' plot and doesn't back down when the guns are pointed in her direction. And then there's that jump. Every poster, promo spot and trailer has focussed on Johnson's physics-defying leap from a towering crane into the blazing building. Every part of the sequence is ludicrous, from the impossibly short space of time it takes for Johnson to ascend the crane in a free-climb, to the Olympic gold medal everything a leap of that magnitude would win, to the police shooting at him from a helicopter despite him being unarmed and no threat to anyone. Of course, in the end he does land the jump and the crowds both on screen and off cheer in unison. It's an A+ example of big, dumb and fun existing in perfect harmony. The great shame is how few of these moments exist in Skyscraper despite a setting of such scale and design offering so many more possibilities. At the end of the day, there's not much of Skyscraper that holds up to any real level of scrutiny. Still, as a park your brain at the entrance type distraction, it mostly gets the job done.